Here is a picture of my newest homebrew creation. 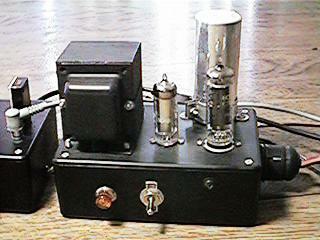 Completed on January 1, 2002, it is a homebrew 40 meter CW transmitter. What I did here was moved my old 6DQ6 oscillator transmitter referenced below into a more appropriate chassis. whew... what a job! Took me four days. Sure looks sweet though... I up-sized the VR & rectifier to give it an all "octal" look.. 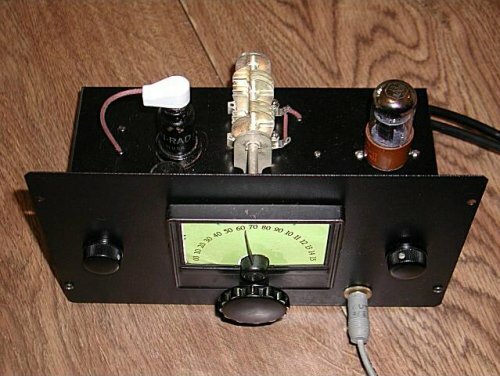 I built in a 12 watt dummy load (using six 33 ohm resistors) and an xmt/rcv antenna switch. Click HERE to see another view. The original circuit came from the 1965 ARRL handbook. 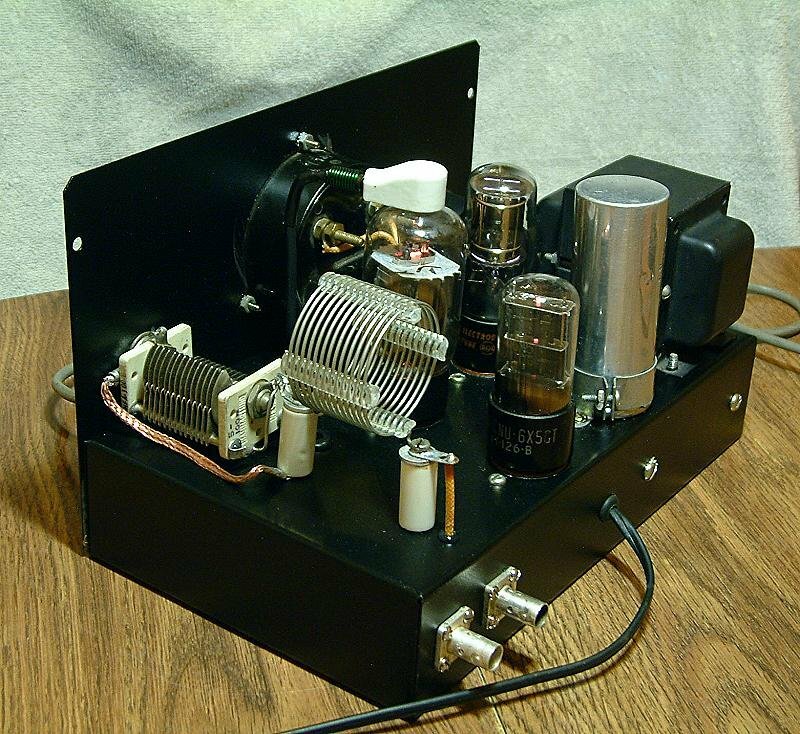 First contact was in Salt Lake City..
Jack Meadows (W7QQQ) has a similar transmitter and it has a much cleaner note. So, of course, I went to his house in seek of his help Now my note sounds as good as his! Interestingly, the trick was to simply replaced the 47k grid resistor with a 2.5mh choke. After much experimenting I found that I really did not have enough HV for my VR tube to kick in plus there was no chirp anyhow so I have since pulled the VR tube (darn!) .. I guess I need to rebuild the rig in another chassis with a bigger transformer and maybe see some benefit in having a VR circuit (HI!!). 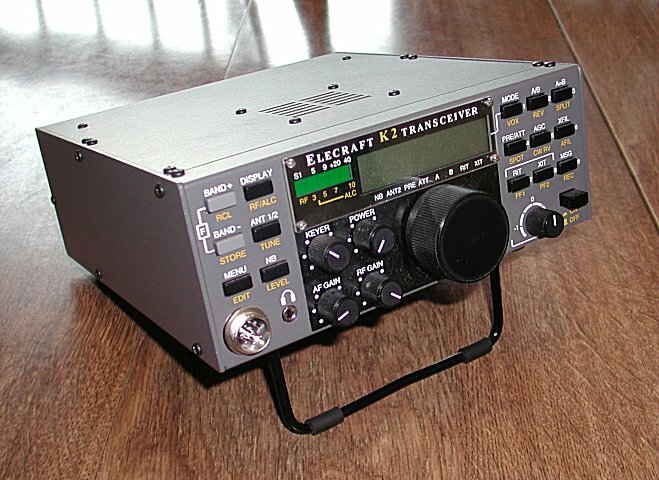 The picture (above) is my QRP CW transceiver. 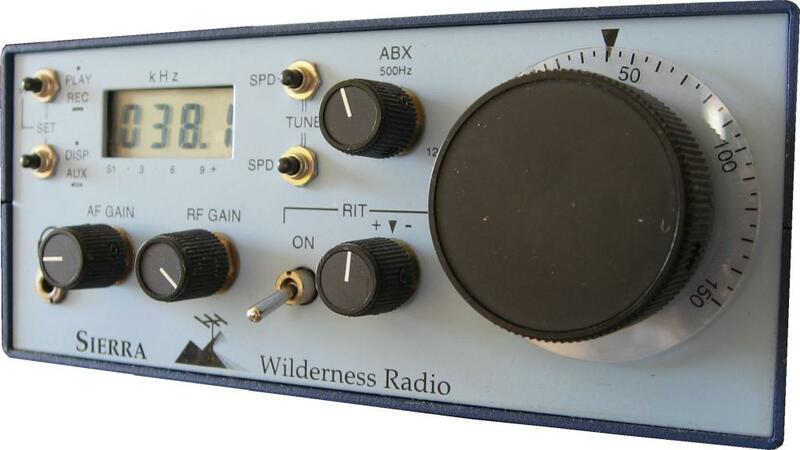 I built it from a (Wilderness Radio) kit back when it was the top of the line. It still is probably the best of the two watt radios on the market. The receiver draws an amazingly low 35 ma. The picture (below) is one of the boat anchors that I use .. It is a swap meet treasure.. It works great as long as it has been given a good warm up. This is the best homebrew boat anchor list bar-none! 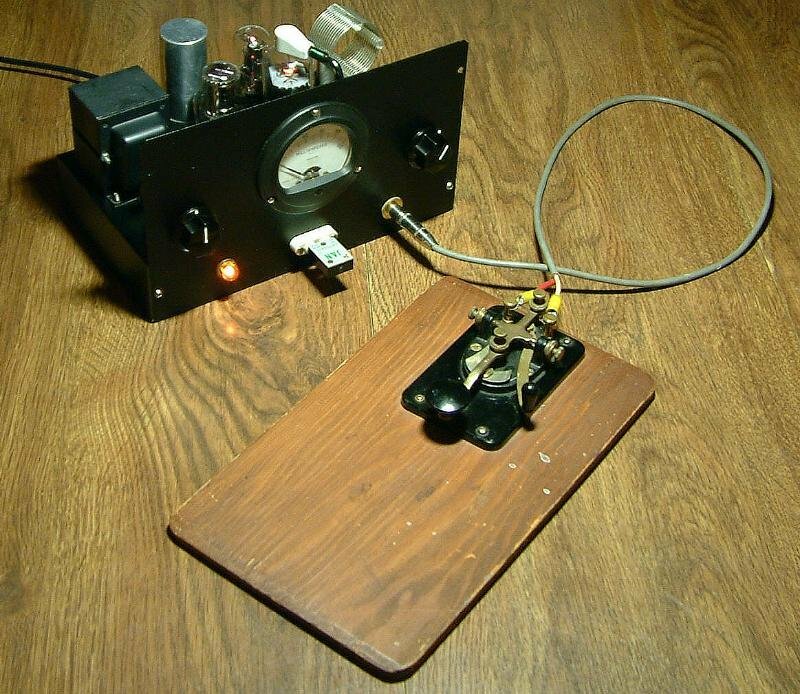 Cutting Edge of ham radio! I have been a ham since I was 16 years old.. (that's 30+ years).. 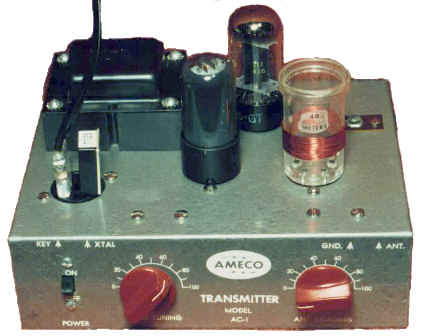 I hold an extra class license with callsign "AA7JC"
I am an avid fan of Ebay auctions and often see *very* simple Morse stations from yester year going for a hundred (or more) dollars .. in particular the Ameco AC-1 novice transmitter. For some reason I myself would like that silly little radio but I just can't take $200 out of my pocket for an old rusted oscillator transmitter. So Junk box to the rescue.. 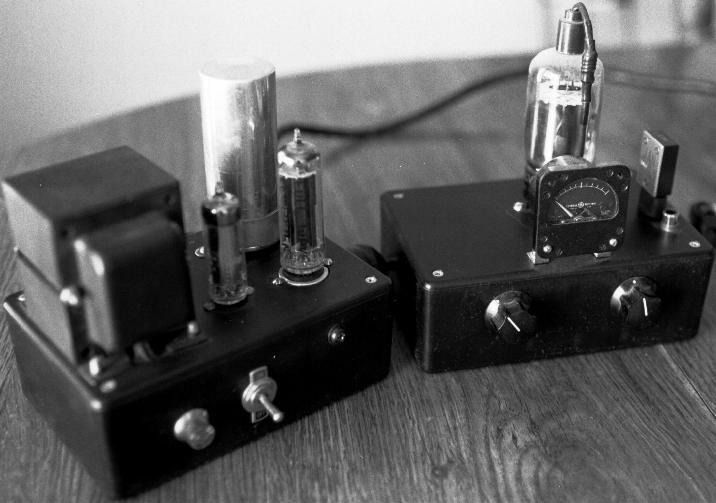 I decided if I can't buy one, then I will design and build one in the true spirit from the era to which that radio was born. 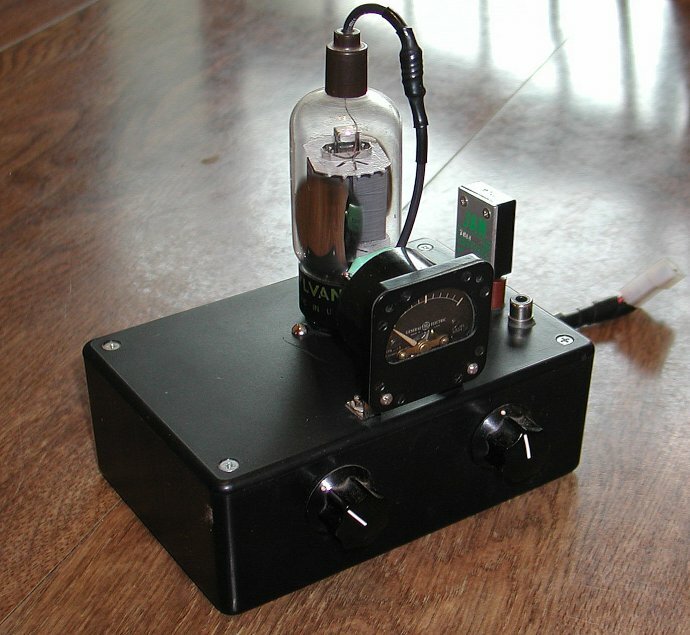 After much experimenting the transmitter developed into an interesting little one tube oscillator that uses a 6DQ6 sweep tube to generate an amazing twelve watts of output power. I was surprised that I could key it using a keyer at 25+ wpm with a reasonable sounding note and without any chirp. CLICK HERE TO SEE REGENERATIVE RCVR FROM "GLOWBUG LIST"
Last revised: Jan 2, 2002.